I have been working with several people over the last months who are looking for work after taking a break from paid employment for various reasons. One of the big problems my clients face is the feeling that making online applications is a very anonymous process. here are 10 tips to get recruiters to notice their application? There are several ways to help get your online application noticed. The first simple steps are to tighten up your administration procedures. If you are wondering what I mean by that; imagine how you would want to receive an application from someone. You want to receive an email from a professional email address, right? Think about how you would react better to an email from joblogs@professionalemail.com than you would to an email from girlsjustwanttohavefun@partyallnight.com. So make sure your email address is professional, traditional and lowercase. When you are writing the cover email to your application: keep it short; half a page or less is best; so readers don’t have to scroll down. When you sign off at the bottom, make sure your signature matches your email address. By this I mean, if your email is frankevans@email.com, don’t sign your email “Frankie Evans”. Avoid confusing your reader. 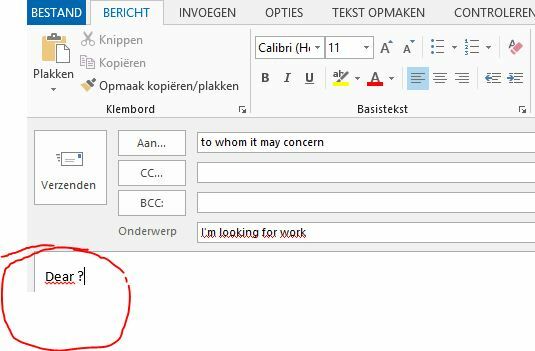 If you are sending attachments with the cover letter, keep them small (under 3MB) and make sure the attachment can be opened in standard office applications. If its difficult for a reader to open the attachment and they have 50 other mails to get through, they will not even try. Thats the basic administration taken care of: but now for the real tips. Tell your reader what your email is about in the subject line. Try pitching yourself here: “IT professional 5 years experience with XYZ programming applying for job ref 123” would be great if the job asks for experience in XYZ prgramming. Make sure your email will reach the right person. If you hear about a job at a particular company, find out who will be handling the recruitment. 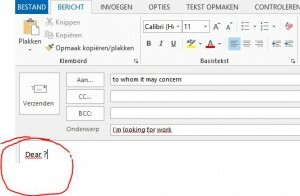 Send them an personal email with your CV as an PDF attachment. use the first line of your email to tell them how you heard about the job. If its through LinkedIn Jobs or another jobboard, tell them that, it shows their systems work. If its through your network tell them that too, it shows that you know the same people they do. End your email with a closing sentence which lets them know how they can contact you, when you would be available to meet, or even that you would welcome an informal chat about the role. The aim is to keep the option for you to contact them again open, so you can easily follow up on your application. Below your signature consider adding interactive links to your LinkedIn Profile, or your other professional social media accounts. Be open and allow the reader to investigate you. And finally, looking for work is a full time job, but it can be demoralising. to keep your spirits up, take regular breaks from your computer, make sure you keep in touch with your network, both social and professional, and reward yourself as you reach milestones along the way.